Key West is one of the prime locations in the world for avid snorkelers and scuba divers alike to visit, and it's truly no wonder why. With one of the most beautiful ecosystems in the tropics, it is easy to see why thousands flock to the Florida Keys for underwater exploration and Key West Snorkeling. Most visitors are surprised to learn that the Florida Keys is home to the 3rd largest living coral reef in the world, and is a unique environment to observe. The reef is home to more a thousand species of fish, and mammals, including sharks, dolphins, moral eels and sea turtles, as well as the living and growing coral reef. 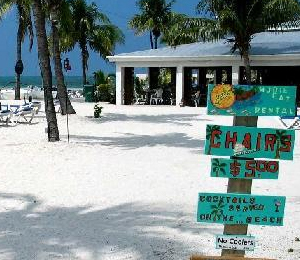 It spans across 120 miles of the island chain of the Florida Keys and is about five miles off shores. The government of the United States made the Florida Keys National Marine Sanctuary to protect the marine territory to preserve it the best we can for future generations to enjoy. This ever-changing environment has become one of the top maritime destinations in the world and for good reason too. This coral reef is not only the home to colorful, and dazzling marine species, it is also home to ship wrecks off the coast that have become coral-encrusted over time. 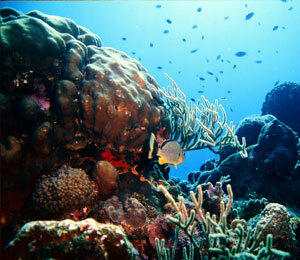 Not only the avid snorkelers and scuba divers come to experience the reefs. Photographers, both amateur and professionals alike, come from all over the world to capture the underwater wonder that exists here on a Key West snorkel. Photographs of the coral reef have been featured in publications for PBS.org, Living Green Magazine, Fox News and theguardian.com. Some of the most world renowned photographers and writers come to the Keys and never leave because of how much inspiration it instills in them. It's so easy-going in the Keys, and with the climate is pretty much a constant of 72 to 84 degrees during the winter months, and temperatures ranging from 80 to 90 degrees during the summer, it won't be difficult to get a scuba diving or snorkeling boat on your vacation. Florida weather is a funny one too, if there is rain on your vacation, it will most likely last a few hours to a day, and then it becomes bright and sunny out again. If you're looking for a snorkeling trip that includes a dolphin excursion, than the we would suggest booking a tour with Wild Dolphin Encounter and Snorkel. With this adventure you not only get to explore the living reef, but also visit the area known as the Dolphin Playground. Want to go on an old-fashioned sailing and snorkeling retreat? 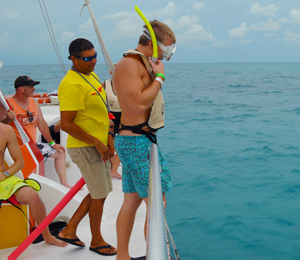 We'd highly recommend the Catamaran Reef Snorkel or the Schooner Reef cruise.